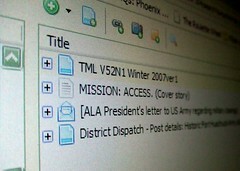 Zotero: to use or not to use? The UCL Computers all have Zotero. You can find this by typing in Zotero in the 'Search Windows' box. You will also see that there is a special version of MSWord for Zotero which has the pre-installed word plugin for Zotero which will allow you to both save your references in Zotero and use the 'Write and Cite' option. This guide is created by Jason Puckett and licensed by Georgia State University Library under a Creative Commons Attribution-NonCommercial 4.0 International License. Content on Note Hound has been created by Graeme Summers and must be used under the same license if you are reproducing any part of this guide. Zotero (pronounced "zoh-TAIR-oh") is an open source referencing package. Zotero collects, manages and allows you to cite references. In other words, Zotero will help you get organised, save time, collaborate - all for the price of £0 (unless you want to purchase space on their server which we do not recommend). You can also attach PDFs, notes and images to your citations, organize them into collections for different projects, and create bibliographies. This guide has several tabs - at the top of the page. Use these to navigate through topics. A Quick Start Guide is available on the Zotero website which will do exactly what it states, get you started on using this referencing software. Mon to Fri from 10.45 to 19.00 and Sat from 09.30 – 17.00 except during the Summer when it is available Mon to Fri 09:30-18:00.